Also after many requests, I am posting my Reading Comprehension Strategy Materials. 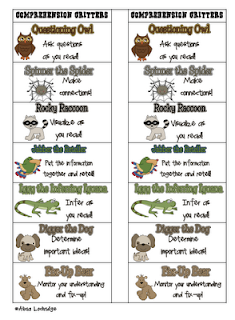 This download offers a parent letter describing the importance of reading comprehension strategies, an overview page describing each strategy, and bookmarks that can be used for either home or school. 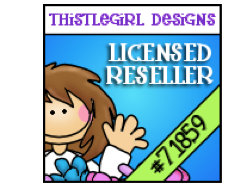 Clipart by Scrappin Doodles and ThistleGirl Designs. Thank you so much for sharing these, I love them!! These are FABULOUS! Thank you very much. I love these and i would like to use them. But, I am a French Teacher and I want ask you if you could make it in french (or, if you want, i could try to translate your work and send it back to you). You can join me on my blog page. Thanks a lot. Did you happen to make any "posters" that go with the bookmarks? I love the ones that you made for "word attack"? I am so impressed with your site and your insight into teaching! 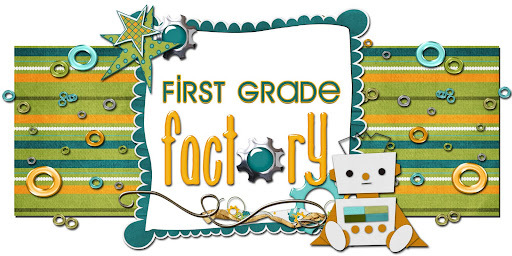 I don't know if I will be fortunate enough to have a first grade classroom when I teach (I'm still a student), but I have registered for your site due to all of your terrific tools and ideas. Anyway, I was wondering if the bookmarks are to be used simply as place holders, or if there is another use for them, say in a reading comprehension workstation. I did purchase the Reading Comprehension Posters. They've actually taught me strategy basics. Thanks for that! How could these be used, do you think, in a reading comprehension work station? 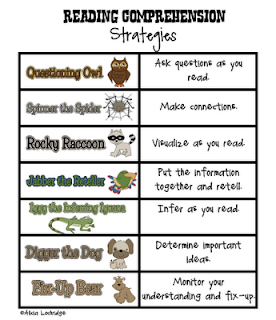 Thank you for such a fun way to help kids apply these strategies.